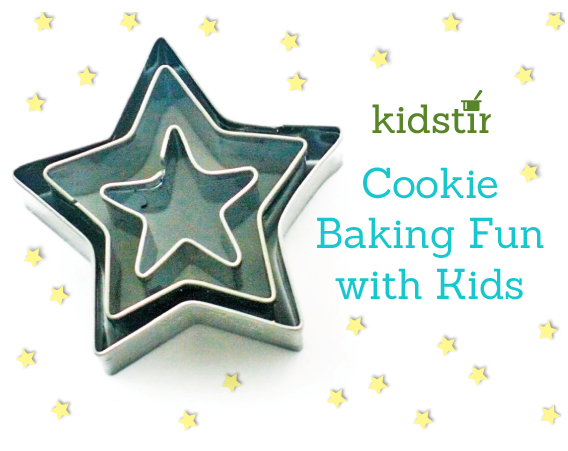 ‘Tis the season to teach your kids how to bake cookies from scratch. Whether they make kitchen gifts for teachers or cook up sweets for a family party, they’ll have fun mixing cookie batter and learning their way around the kitchen. Share these cookie baking tips with your kids. Look at your cookie recipes from the Winter Wonderland Cookie kit and other favorites. Then stock up on the ingredients, such as butter, sugar, flour, and confectioners’ sugar for frosting. With all the cookie baking basics in the cupboard, your kids will have everything they need to bake up a storm (and you won’t have to make multiple trips to the store!). Start with ingredients that are at room temperature, measure carefully (check out our fun video for tips on the difference between measuring liquid and dry goods), and bake cookies on the center rack of your oven for best results. Remind your kids to stay in the kitchen when their cookies are baking — and check them for doneness a few minutes before the timer goes off (oven temperatures can vary and no one wants their cookies to burn! ).